The film Laïcité Inch'allah (Secularism Inch'allah) initially titled Ni Allah, Ni Maître (Neither Allah nor Master) won the Prix International de la Laïcité (The International Secular Award). 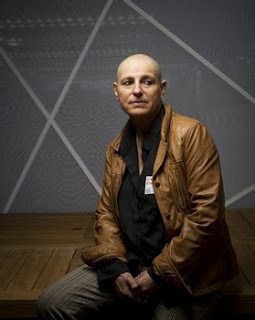 "A just reward for a work that defends and promotes secularism", the filmmaker said to AFP by telephone [Wednesday, 29 June 2011]. "I am delighted to have received this honorary award and I hope that it will help to spread the word about the film," the Tunisian filmmaker Nadia El Fani stated by telephone in Tunis. The award is presented annually by the Comité Laïcité République (Secular Republic Committee). Sunday, a group of about a hundred Salafists forced their way into the Africart theatre in the center of Tunis, shattering the glass doors and accosting several people in an attempt to prevent the film from being screened. Six of them were arrested. Tuesday, the police used tear gas to disperse a rally in front of the courthouse in Tunis by fundamentalists who came to demand their release, arresting 21 demonstrators. "It is a film that calls for tolerance, contrary to what they say," insists the filmmaker, who remains optimistic. "Perhaps with the secret ballot Tunisians will vote for secularism," she added. Since 1993, Comité Laïcité République has awarded a national and an international prize. Among the laureates are Isabelle Adjani for her role in La Journée de la jupe (Skirt Day) and Iranian Marjane Satrapi for her film Persepolis. 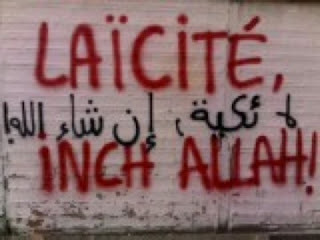 The film Laïcité Inch'allah will be released in France on 21 September 2011. Republished from Comme au cinéma 29 June 2011. Following the controversy created by the film Ni Allah, Ni Maître, Nadia el Fani, has decided to change the title, due to its misinterpretation. Ni Allah, Ni Maître has been renamed Laïcité Inch'allah. Nadia el Fani denies having attacked or wanting to offend Muslims by using the title Ni Allah, Ni Maître. In an attempt to bring an end to the controversy and the accusations based solely on the title, that she is attacking Islam, the new title Laïcité Inch'allah is an attempt to find a solution to the misunderstanding created by the initial title. Republished from Tixup, 29 June 2011.